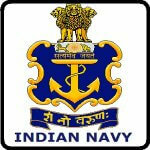 Indian Navy Tradesman Mate Admit Card: The recruitment board has released the Indian Navy Call Letter 2019 for Civilian Entrance Test. We hope by now all the candidates have applied successfully for the Entrance Test and are have also downloaded the admit card. INCET TMM Admit Card Download option will be provided on the official website @ joinindiannavy.gov.in. Please keep checking the same page. Also, bookmark this page so you do not miss any updates we add. The updates will be added as soon as they are announced by the regulatory authority. The INCET-TMM admit card has been released! Candidates can download their hall ticket from the “How to Download” section below. 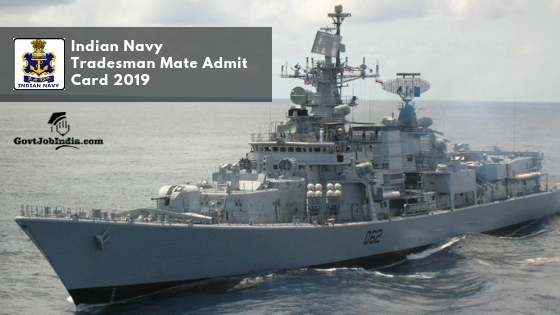 How to Download Indian Navy Tradesman Mate ( INCET-TMM ) Admit Card 2019? The admit card will be available to all the shortlisted candidates @ joinindiannavy.gov.in. Please select the Join Navy option and then Tradesman Mate. A new web page will open. Check for the particular advertisement/notification and click to download call letter. Candidates can also click on the direct link provided below. It will take you directly to the page from where you can get your admit card. Please bookmark the page for more updates. Note: For any queries regarding Admit Cards kindly E-Mail/ ई-मेल to incet-dcmpr@navy.gov.in. Helpline Number : 1800-419-2929 between 8:00 AM to 8:00 PM. The selection procedure for 554 Grade C Vacancies includes a written test and a round comprising document verification. Written examination would be a computer based test for 100 marks. Applicants are requested to go through the recruitment Pdf. The recruitment Pdf includes all the vital details required. Further updates will be added right here. Please scroll down the article below and highlight or note down the important points. As of now we have not received the details regarding Indian Navy Admit Card Release Date 2019. It is expected to be released after the closing date of online applications. Online applications for Civilian Entrance Test will be closed on 15th March 2019. The official website @ joinindiannavy.gov.in will soon declare the Indian Navy Admit Card 2019 for the Civilian Entrance Test. Notifications regarding call letter will be provided on the registered contact details. Please note that only selected applicants will receive notification to download hall ticket. The hall ticket will be received for computer-based test. Computer-based test and document verification are 2 stages of selection method as of now. Check that all the details in hall ticket are as per the application submitted. Any discrepancy in the details needs to be highlighted to the recruitment board as soon as possible. Along with the call letter, applicants will also be notified regarding computer-based test schedules. Kindly note that the Civilian Entrance Test will be for 100 marks. These 100 marks are equally distributed into 4 subjects. General Intelligence and Reasoning, Numerical Aptitude, General English, and General Awareness are the 4 subjects. All of them include 25 marks each. The exact date for the computer-based test is not yet announced. Once we get hold of it you can see the same right here. If you wish to know more about the syllabus and paper pattern please visit the official Indian Navy website @ joinindiannavy.gov.in. Few of the details are also mentioned in the advertisement PDF. Moreover, there would be a document verification round after Civilian Entrance Test is conducted. We hope applicants were able to know all the important details regarding Indian Navy Civilian Entrance Exam Admit Card 2019. You can simply click on the direct link and download the admit card as per headquarter commander vacancy applied for. Let us know if there are any doubts in the comment section below. Our team will reply to your doubts right here. Check our website @ GovtJobIndia.com for more job opportunities with the government of India. There are many opportunities based on several sectors, educational qualifications, as well as locations across the country. Do not forget to share the article with other similar candidates. All the best!